Have you heard about Shear Genius Salon yet? It's the newest salon in Knoxville. I met up with co-owner Leila Albanna today. With her friendly, outgoing personality it wasn't hard for Leila to open up about her business. This is a lady who clearly enjoys owning Shear Genius Salon. Let me go ahead and tell you the best part up front. If visit the shop be sure to mention this article. 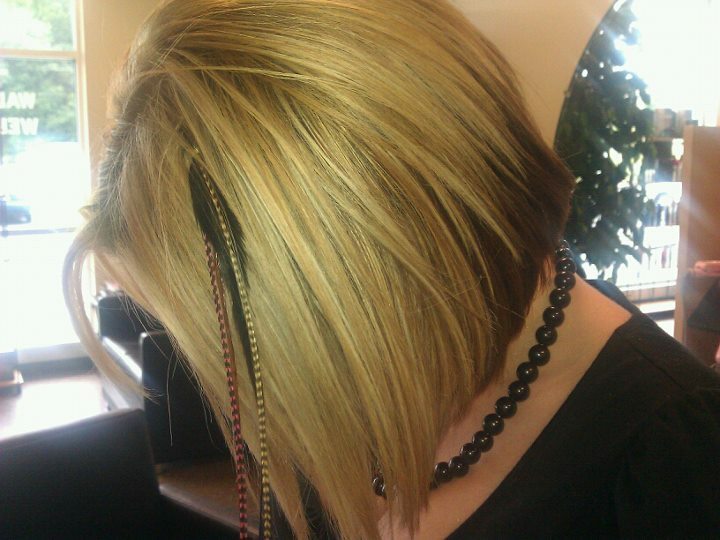 Leila will give you 50% off a a color with cut if you mention You've Been Reviewed. We don't get a kick-back or anything but readers do get a discount. Don't forget to mention us. If you want to print the article to bring with you that's even better. Ladies and men can feel comfortable here at this unisex salon. In addition to cuts, Shear Genius Salon in Knoxville offers a full range of hair care services. Waxing is available and of course, hair coloring. The stylists here can do everything from full color to highlights. They stand behind their work and your satisfaction is guaranteed. One of the nice aspects of the salon is the layout. It it designed with the client in mind. The Facebook page calls it 'warm and friendly'. Customer feedback is welcome on all aspects of the business. I'm told that Shear Genius Salon is proud to be in the community and look forward to serving the area for a long time. The combination of a satisfaction guarantee and 50% off a color and a cut is tempting. I've not tried their services yet but plan to make an appointment after payday. As always, there will be a future write-up about my experience. The address for Shear Genius Salon is linked in the 'location' tab below. Don't worry. Getting there isn't difficult. The salon is in the new shopping center between the Pilot and McDonald's on Middlebrook Pike. The map link puts it at the end of Fox Lonas Road in West Knoxville.